Weight loss is an uphill battle. If you aren't getting a good night's sleep the challenge is that much greater. You won't have the energy to exercise or prepare healthy food if you are exhausted. So how do you sleep better to get the essential rest that you need? 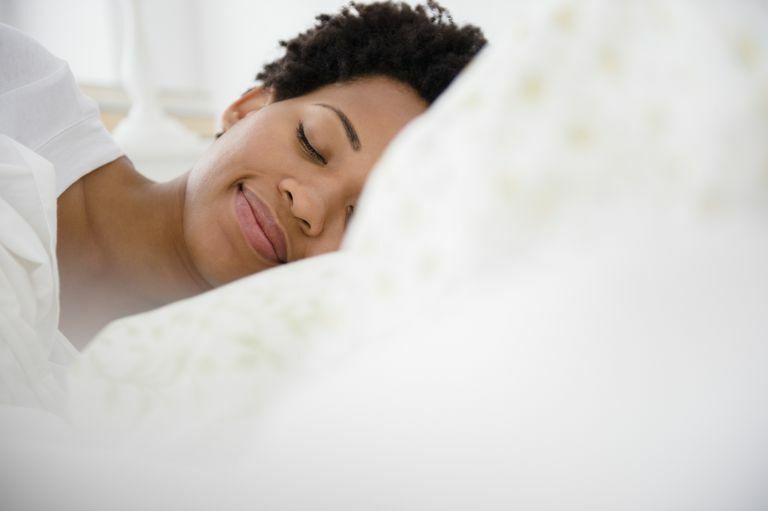 Use these easy tips to sleep better at night and slim down faster. Several new studies suggest that sleep plays a key role in our ability to make better food choices. So if you're short on willpower and you don't have time to exercise, perhaps your best bet is to learn how to sleep well. The reason revolves around a hormone called ghrelin. In 2010, a research study found that when people have higher levels of ghrelin, they were more likely to crave sweets and junk food. Lead scientist Tony Goldstone, MD, Ph.D., suggested that if we could find a drug to block ghrelin, we may be able to reduce cravings for high-calorie foods and help people lose weight. But wouldn't taking a nap feel better than taking a pill? Another study published in Obesity Reviews found that catching a few zzz's might be just as effective at reducing ghrelin levels. Researchers from Louisiana State University found that stress management techniques like sleeping and exercising help to reduce both ghrelin levels and the cravings that come with them. But the strongest link between sleep and food intake came when researchers from St. Luke's - Roosevelt Hospital Center and Columbia University in New York did MRI scans on people who had been deprived of sleep. They found that when people didn't get enough sleep, they craved more junk food. Most of us don't spend our days reading dry scientific journals, so it might be easier to take weight loss advice from a noted fitness expert. "When I tell women that they are going to eat less when they sleep more, their ears perk up!" says Chris Freytag. Freytag is a nationally recognized health and wellness expert with more than 20 years of experience in the industry. Chris explains that we can recharge our human battery in one of three ways: by exercising, by eating, or by sleeping. If we don't get a good night's sleep, she says, we are likely to refuel by eating too much. So how we do improve the quality of our sleep? Chris offers these helpful tips to sleep better, refuel and recharge. Evaluate your environment: If you can't afford to get a full eight hours of sleep at night, don't despair. Chris reminds us that it is the quality of sleep that matters more than the quantity. "Just because you are laying down for eight hours doesn't mean that you are sleeping for eight hours," she says. Her advice for better sleep includes making a few simple changes to your environment. Minimize distractions, such as light or noise from a television. Don't charge electronic accessories next to your bed as they create a subliminal distraction. Invest in a high-quality mattress to achieve the best sleeping posture. Skip the late night snack: If you find yourself craving a late night snack, Chris suggests trying to skip it and to refuel by sleeping instead. She explains that when our bodies aren't recharging through sleep, we look for energy in another form: food! "People tend to overeat when they are tired," she says. But if you really need a small snack before bed, she recommends passing up the typical chocolate treat and eating a complex carbohydrate like oatmeal or a piece of toast. These foods will keep you satisfied for a longer period of time. Respect your own sleep habits: Work within your own guidelines to recharge your human battery. This might mean adjusting your daily habits. For example, some people find that exercising late at night is disruptive to a good night's sleep. But for others, an early morning workout isn't tolerable. The key, says Chris, is working within your lifestyle to find what works. By learning to sleep well, you may gain the energy you need to invest in other aspects of your health. And you may find that your appetite -- and your pajama size -- dwindles in the meantime.